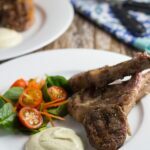 If you are after an easy to cook meal, then you can’t go past my Greek Lamb Cutlets with Garlic Aioli – they are flavourful, quick and easy to make, and make a great component of a main meal, or a great appetizer by themselves. I am a such big fan of the marinade; oregano, garlic and lemon might seem like a simple flavour combination, but seems to be just right for lamb. I’ve also used the same marinade in my Greek Lamb Pizza recipe. The garlic aioli is a great addition if you are looking for something a bit extra to add to your meal – it’s the same one I have used on my popular Quinoa Fritters recipe. 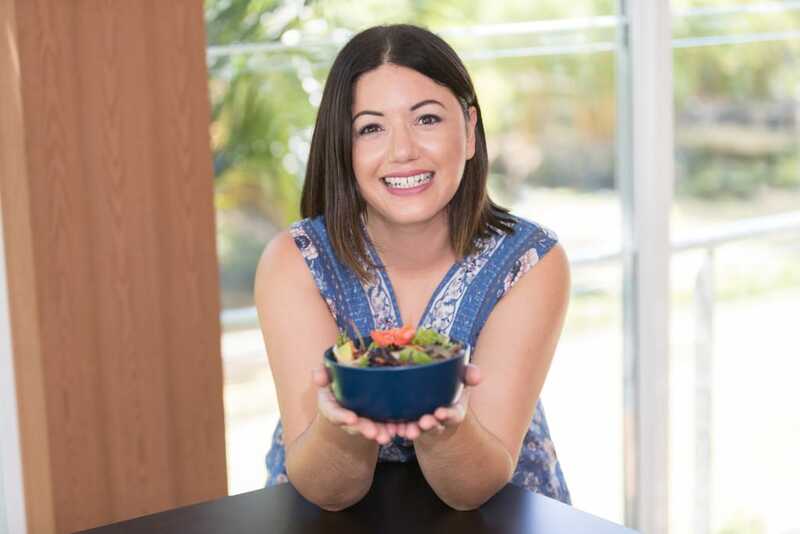 This meal is the perfect weeknight dinner meal, just add your favourite salad or steamed vegetables and you are ready to serve. Add olive oil, garlic, rosemary, thyme, sea salt and pepper to a small bowl, mixing well. Pour over cutlets and place in the fridge to marinate for a minimum 2 hours. Pre-heat grill or BBQ on medium high heat. Add cutlets and cook for 2 minutes each side for medium rare.